As a Certified Real Estate Specialist from Golden Gate University, School of Law, Jason Hain has mastered the complexity of San Francisco's tenant law. Jason Hain has experience defending unlawful detainer lawsuits as well as going on the offensive against landlords with habitability, personal injury, constructive eviction, theft, Section 8 fraud, retaliatory eviction, temporary relocation, lockouts, and harassment claims. Utilizing his experience writing tentative rulings for the Law and Motion Department at the San Mateo Superior Court, Jason aggressively litigates with extensive motion practice. Jason has built an expertise and passion for suing landlords who refuse to repair their rental units. In situations where this has forced tenants to vacate their homes, Jason ensures that landlords or their homeowner's insurance companies compensate such tenants above and beyond the value of their lost tenancies. After researching landlords' history of abusing other tenants, Jason counsels his clients to partner with him in taking a comprehensive approach to building their cases. Jason obtains lucrative settlements on behalf of his clients bringing together the harassment, personal injury, habitability, contract, emotional distress and real and personal property elements of every case. Jason sometimes partners with other experienced tenants' rights attorneys who specialize in making claims on specific defects like toxic mold. Jason has developed a specialty with helping tenants who participate in HUD's Section 8 voucher program. He uses such expertise to thwart evictions of such tenants as it is common that such landlords are not aware of all the Federal regulations which limit the circumstances in which such tenants may be evicted. Jason is licensed in Federal Court and is currently suing landlords in the Federal Northern District of California where they have committed fraud against their Section 8 tenants by overcharging rent or utilities. When clients are on the defensive, Jason Hain adeptly defends them in unlawful detainers and often turns the tables by suing the landlords where his clients have legitimate claims of their own. 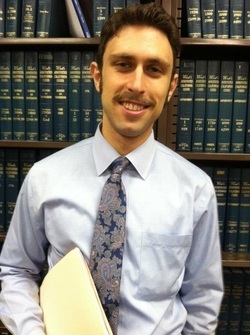 At the Eviction Defense Collaborative Jason prepared pleadings and motions for countless San Francisco tenants. He enjoys defending tenants with good defenses and attorney's fees provisions in their leases so that he can get his fees paid by the landlords to punish them for trying to evict tenants in bad faith. He has defended a evictions brought under a wide array of "just causes" including owner move-in, nuisance, nonpayment, demolition and temporary relocation. However, Jason has done just as many unlawful detainer cases in Alameda and the Santa Clara Counties. Jason finds innovative legal solutions to halt evictions even when his clients think their is little hope of staying in their homes.